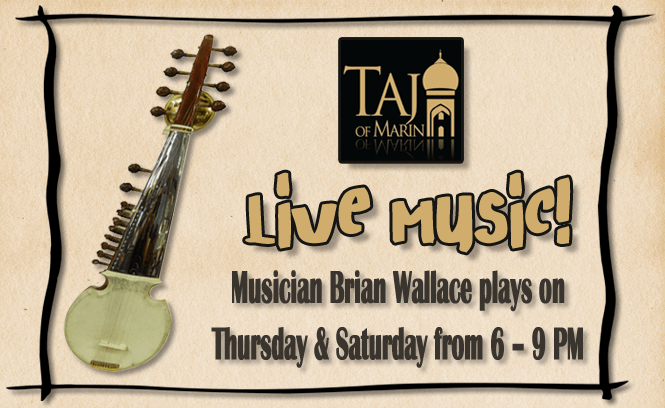 Hear live music from Brian Wallace every Thursdays and Saturday Nights at Taj of Marin Restaurant! Live Music begins at 6:00 pm and ends at 9:00 pm. 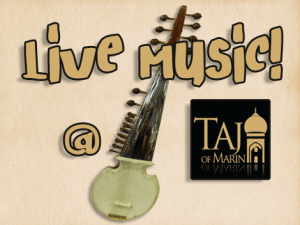 Sit back and enjoy the sound of the live music as you enjoy some of our delicious food & drink from our menu. Our restaurant serves the best of North and South Indian cuisines located at 909 4th Street in San Rafael. For inquiries call us at (415) 459-9555 or contact us. We are looking forward to see you!